Contact us for special prices. 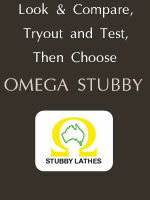 Omega was a small family owned and run precision engineering company, located at Carrum Downs, Victoria Australia. 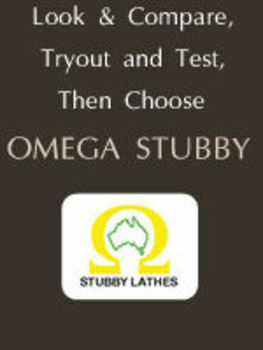 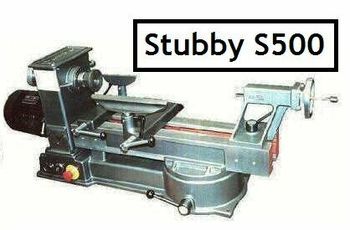 The company was formed 43 years ago and was operating as a tool making and general engineering business until 15 years ago when we designed and subsequently patented the Omega Stubby range of wood turning lathes. 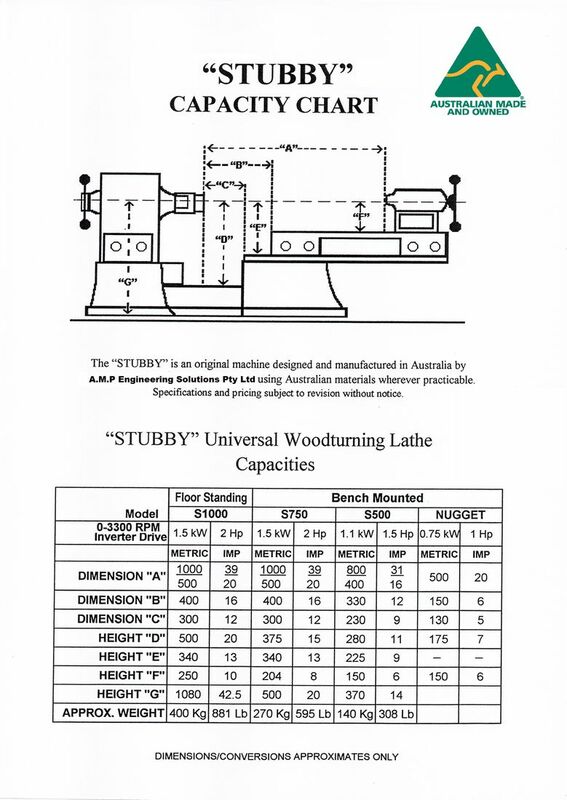 A.M.P Engineering Solutions Pty / Ltd was formed by a "new generation" of engineer's who will continue to supply STUBBY WOODLATHES and accessories to order. 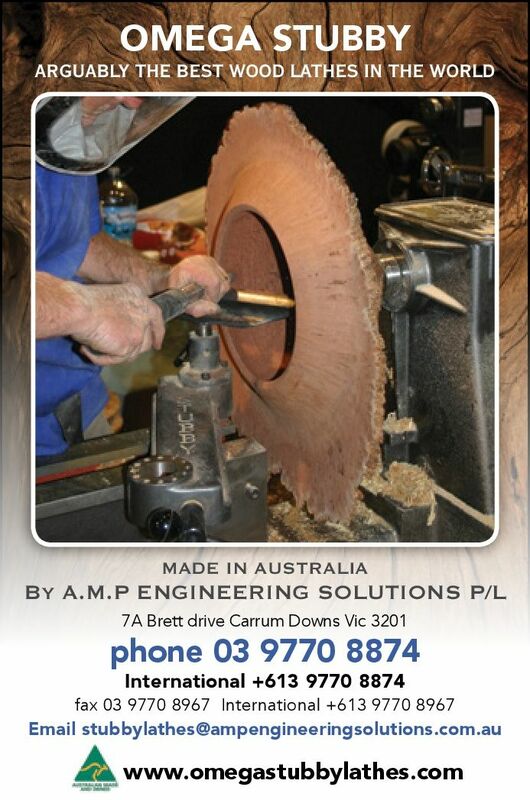 All machining is done "in house", using Australian materials and castings and best available European industrial quality electrics and motors. 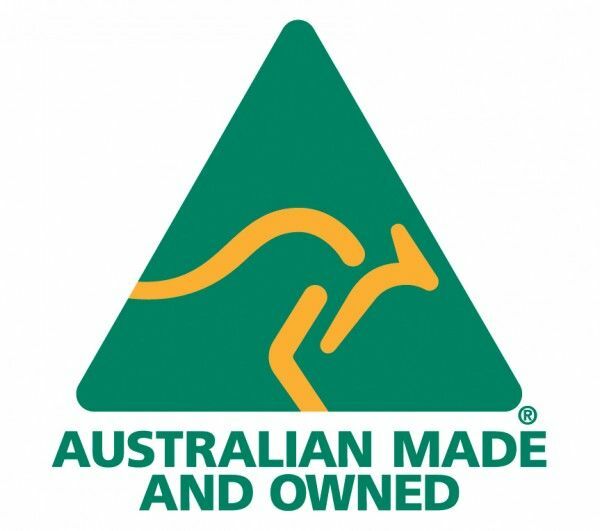 When you buy an Stubby product, you can be sure its AUSTRALIAN MADE, and sold ex factory by the people who actually make it. 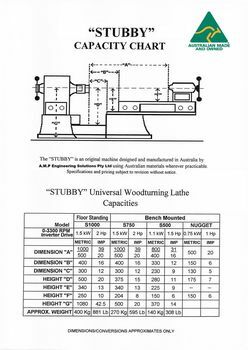 World wide shipping "ex works" is available. 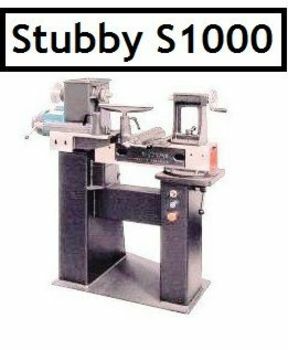 The Stubby range of lathes have an amazing selection of options as standard and these unique features make them far more user friendly than conventional lathes and also better value for your money. 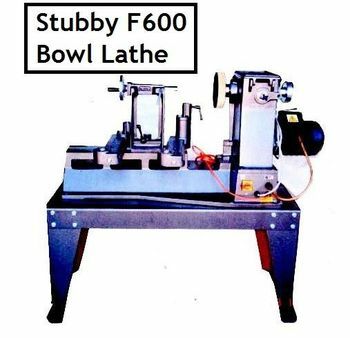 Stubby Lathes all have similar features such as sliding and swivelling bed, bowl and spindle tool slides, 24 position indexing, universal auxiliary bed and "built in " through spindle vacuum port for vacuum chucking. Omega Lathes are world re known for their reliability, ruggedness and smooth running characteristics. 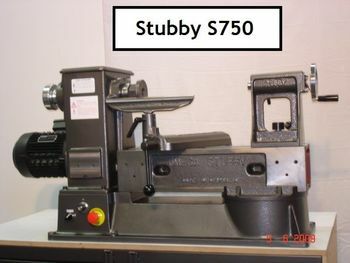 Our STUBBY range consists of the ever popular S750 , S1000 , and soon a re- juvenated S500 model. Our standard range of conventional lathes is , the Nugget and F600 Bowl Lathe. 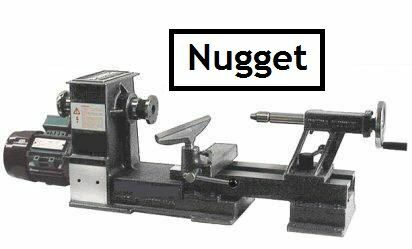 We also stock Vacuum pumps , Live & Spur Center sets, and there will be stock available soon for our Omega Thread Milling Fixture .